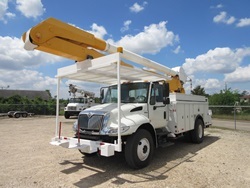 Aerial lift trucks and Bucket Trucks today supply electric utilities, mechanical contractors, sign companies, lighting maintenance, high load services, tree trimming services and other high reach applications. 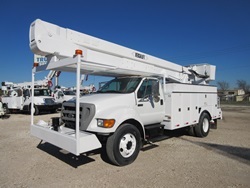 They range from high lift bucket applications to telephone and cable contracting and short reach applications. 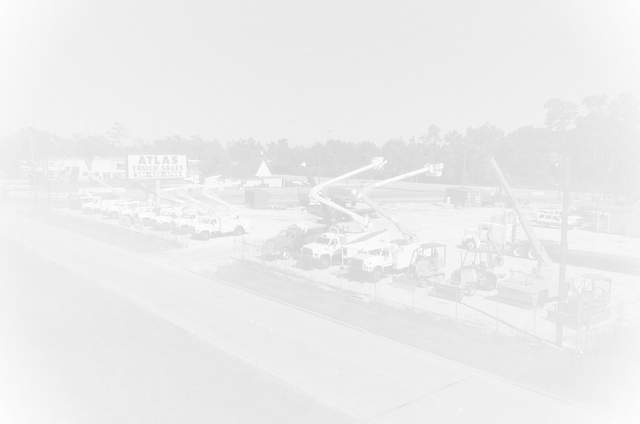 We supply power line contractors throughout the United States as well as telephone line contractors and cable & fiber contractors. 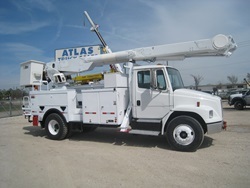 MOUNTED ON: 2004 International 4300, 122,700 Miles. 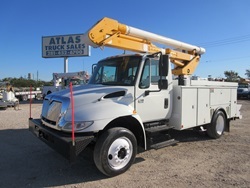 MOUNTED ON: 2012 International Terrastar, 111,110 Miles. 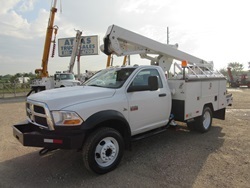 MOUNTED ON: 2011 Dodge, 147,000 Miles. 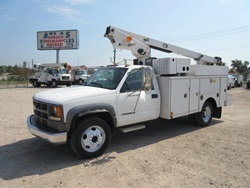 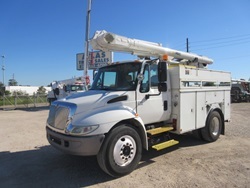 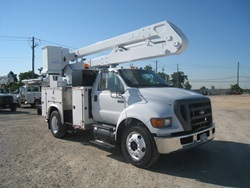 MOUNTED ON: 2007 International 4300, 101,090 Miles. 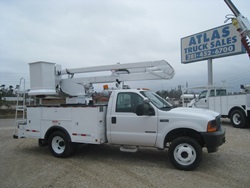 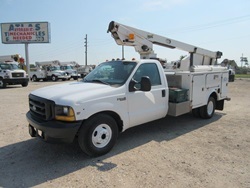 MOUNTED ON: 1999 Ford F350, 218,045 Miles.